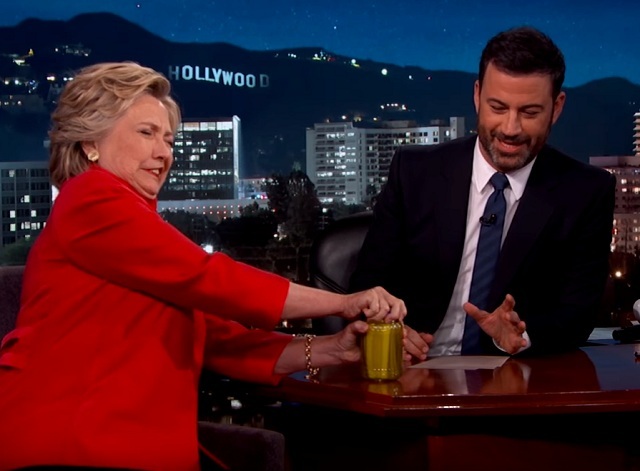 Hillary Clinton put all speculation about her failing health to rest last night on Jimmy Kimmel's show by opening a jar of pickles. The fact she was hospitalized for a blood clot in her brain after falling and having a concussion in 2013 and multiple doctors including Dr. Drew expressed deep concerns about her health is no longer relevant. Hillary Clinton, appearing on “Jimmy Kimmel Live” on Monday, said that rumors that she is in ill health are part of a “wacky strategy” against her. Hillary opened an already opened jar of pickles on Jimmy Kimmel. Well, that's good enough for me. Won't be writing about her health anymore. Conspiracy theorist Mark Dice expressed skepticism about whether or not the jar was tampered with or whether the producers of Kimmel's show made sure she could open the jar in question before having her perform the stunt on TV. Everyone knows old grandmothers who struggle to stand on their own excel at opening tight lidded, safety protected jars, so clearly this is just wild conspiracy theorizing. 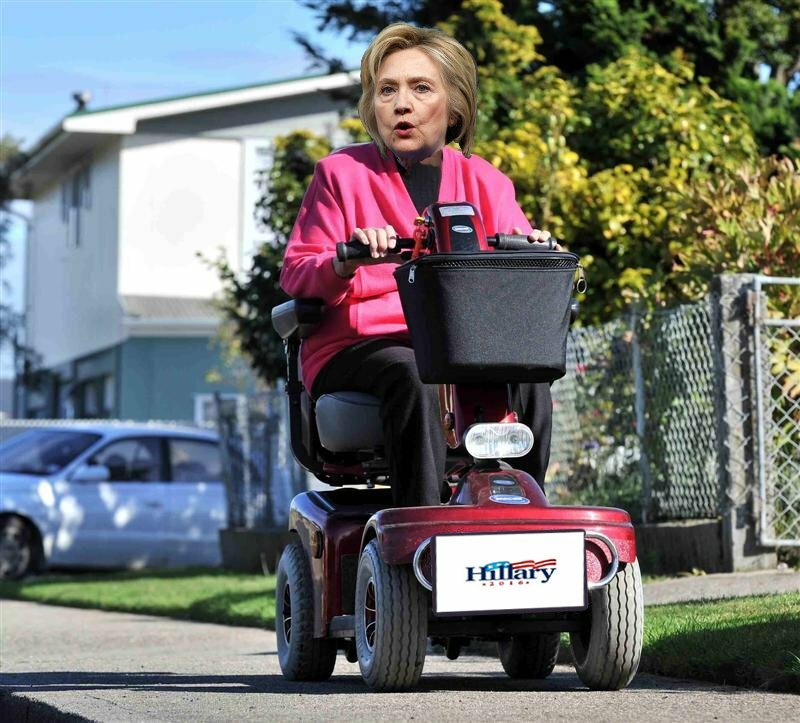 We can all rest assured the media is not covering up anything to hide her ailing health as this picture from r/The_Donald shows us.